Lots of people list their impressive credentials on their websites, but it’s no secret that I don’t have a heavy hitting degree from a prestigious music school. However, I do have a love of opera and an art degree! Combining these has helped me create a unique medium to share my enthusiasm for opera’s stories with opera aficionados, like you. 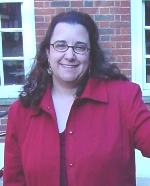 I’m Cindy, and I help passionate, fun loving opera fans stay connected with their favorite works through meaningful handmade jewelry that I design and create - Opera Bracelets! My “Full Story” Opera Bracelets tell the tale of an opera from beginning to end and wearing one helps you to remember your special opera moments. In addition, my “Inspired By…” bracelets help celebrate particular moments and characters of opera with a bracelet all their own. I’ve learned so much about opera and storytelling as my business has grown, but I still consider myself an “opera learner”. I really enjoy sharing my journey of discovery with the many new opera friends I have met through social media and the opera world! I’m especially proud of the group of over 10,000 Opera Bracelets Facebook followers with whom I share opera news, thoughts, videos, new product designs and so much more. To join our Facebook group, please click here. 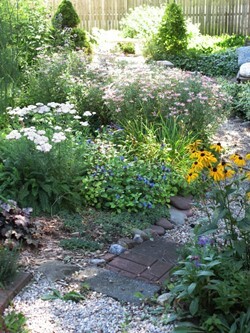 Puttering in my cottage pathway garden – kind of a winding gravel path bordered by a bunch of aggressive weedy flowers and some daylilies which at least behave themselves. Baking muffins (I’m under a delusion that using whole wheat flour makes them good for you, even if they are double chocolate muffins). Giving plenty of attention to my demanding feline office assistants: Posh, Placido and Zubin. My husband Andrew and I met back in 1985 at our local Doctor Who Fan Club of America chapter. Today, every other person has seen the new series of Doctor Who, but back then it was an esoteric interest and the supreme height of nerdy cool. My first creative job involved making lemon meringue pies 48 at a time. My sharp meringue peaks are masterful to this day, but I really prefer lemon cream pie - you know, lemon filling with a whipped cream topping. Currently, my go to pie to make is a chocolate cheesecake pie! I’m addicted to the iBooks App on my iPad; however, I only go for the free stuff that is mainly old school. I’ve discovered so many great classics, even opera-related works like The Bride of Lammermoor, Manon Lescaut and The Lady of the Camellias (the basis for La Traviata). But, I must say the best book of all time is the Count of Monte Cristo! Why do I work so hard? Well, other than loving opera, loving jewelry and loving opera fans, my husband and I want to move to Oahu (Hawaii Opera Theatre, here we come!). He wants to have a tiny house (under 500 square feet) I’m perfectly fine if it’s just “small”; after all, I still need to have enough room to make bracelets! I hope you will join my email community right below, so we can continue to chat about our opera journeys each week. Plus, you’ll be the first to see any new Opera Bracelets I’m creating as well!